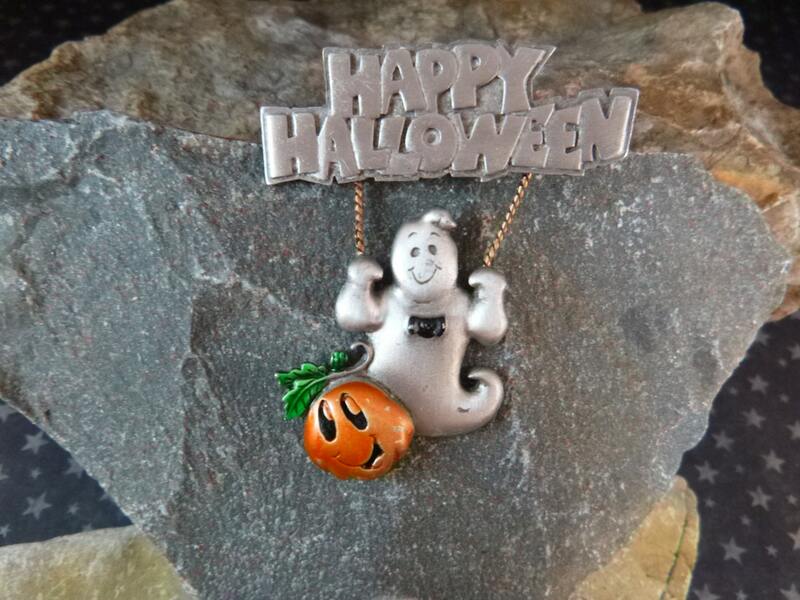 This “Happy Halloween” pin created in a pewter-type metal with enamel is fun and delightful. 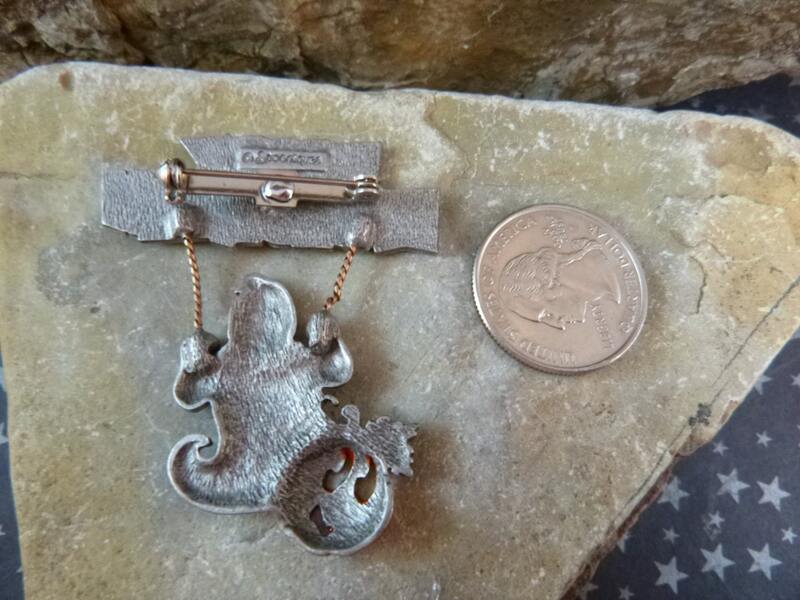 The maker’s mark © Spoontiques is on the back for Spoonitiques, Inc. which has been manufacturing jewelry and gift items for more than 40 years. 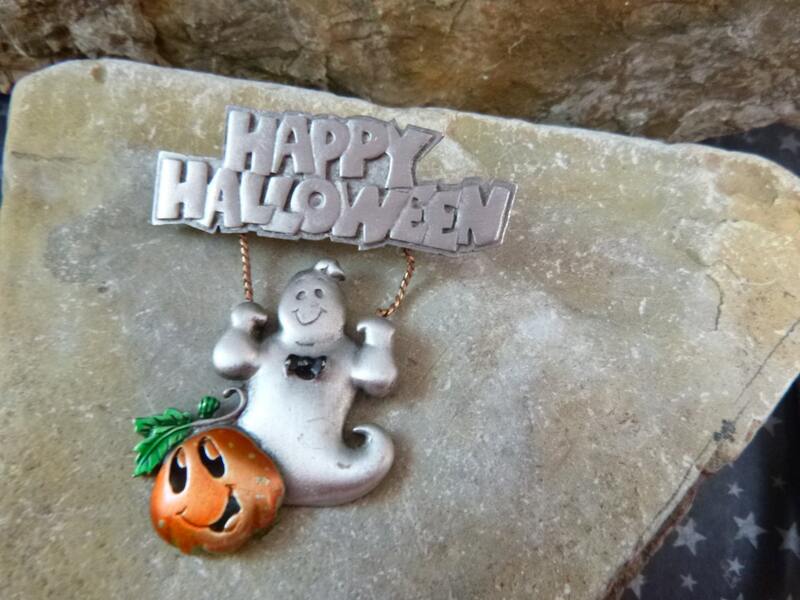 Swinging from the “Happy Halloween” greeting is a happy articulated ghost, complete with a bow tie and Jack O Lantern compassion. The pin measures 2 1/8” from the top of the greeting to the end of the pumpkin, and is 1.75” in length. 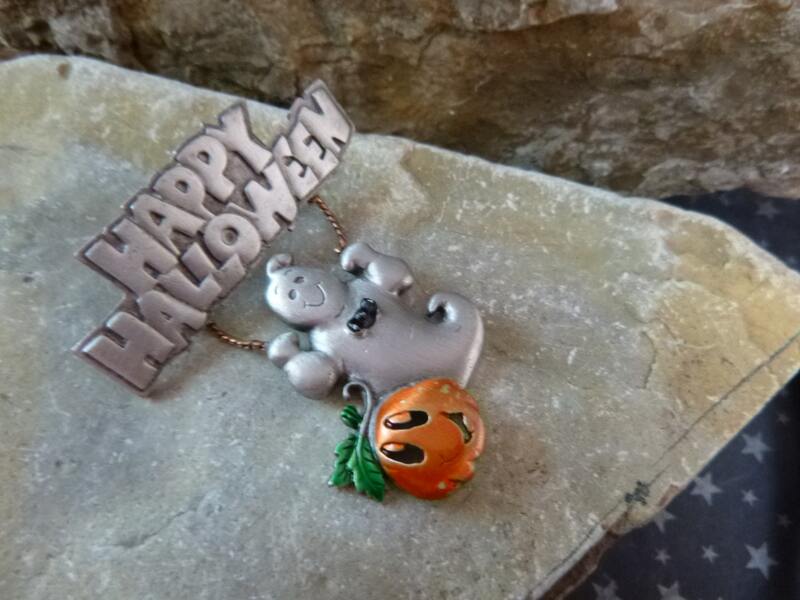 Overall this whimsical Halloween pin is in good to very good vintage condition. However it does show enamel wear on the Jack O Lantern and bow time, and a few scratches on the ghost. Personally, I think that adds to its vintage charm. The pin works fine. This is the kind of pin that can’t help but make you smile and is a great pin for any Halloween lover. 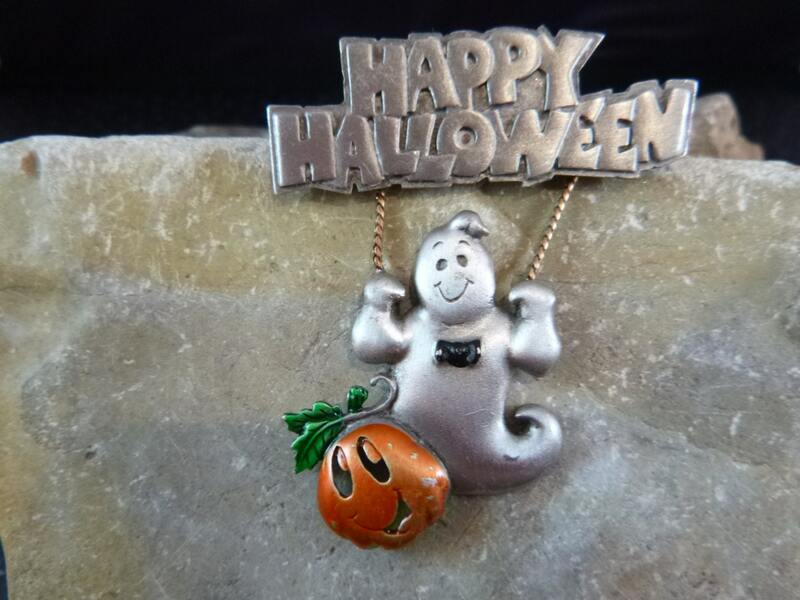 The pictures provide greater perspective on the whimsical nature and vintage condition of this unique Halloween pin.